finish. Han ers included. Chalkboards desi ned with hand chalk rail. 3 N 661 12l - Wt. in. 3 N 661 13N- Wt. 15 lbs. 3 N 66103N- Wt. 15 lbs. *Allow 10 pounds postage per postal regulations. 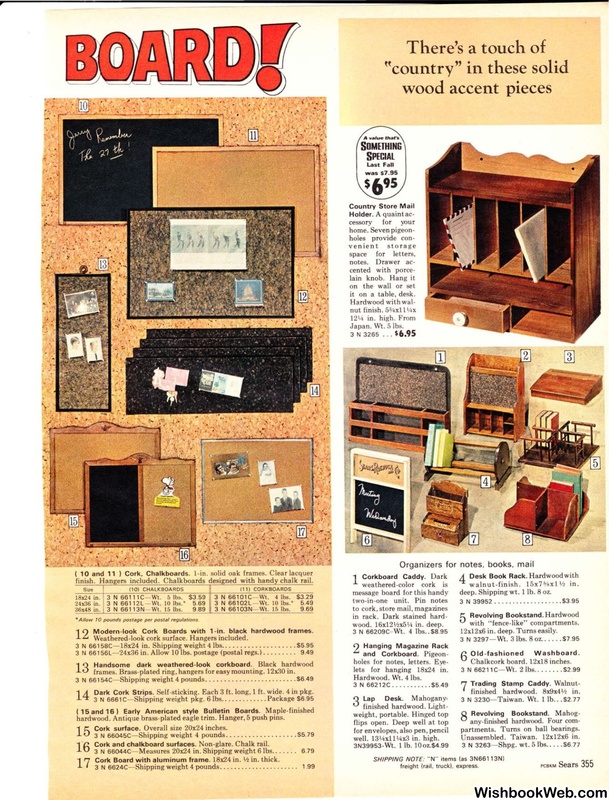 Modern-look Cork Boards with 1-in. black hardwood frames . Weathered-look cork surface. Hangers included . frames. Brass-plated ring. hangers for easy mounting. 12x30 in. Dark Cork Strips.. Sell-sticking. Each 3 ft. long, 1 ft. wide. 4 in pkg. hardwood. Antique brass-plated eagle trim. Hanger, 5 push pins. Cork surface. Overall size 20x24 inches. Cork and chalkboard surfaces. Non-glare. Chalk rail. Cork Board with aluminum frame . 18x24 in. it on a table, desk. h x5 l/1 in. deep. lets for hanging 18x24 in. well. 13\4x1 H<ix3 in. high. deep. Shipping wt. l lb. 8 oz. 12xl2x6 in. deep. Turns easily. O ld -fash io ned W as hboa rd . Chalkcork board. 12xl 8 inches. partments. T urns on ball bearings. Unassembled. Taiwan. 12xl 2x6 in.